Steel Detailing; Constructing the Perfect Building - Rosh Metal Ltd. Steel Detailing; Constructing the Perfect Building - Rosh Metal Ltd. It is a long way from an idea and a drawing to their materialization, the structure, and there is no use in cherry picking the most important steps. Misplacing the proverbial foot anywhere along the way might create disastrous results either during the construction or later when the building is finally put to use. However, an important segment of work is often overlooked by industry outsiders when discussing some construction project, or even when envisioning projects of their own. That segment of work is detailing – the topic we will dive into a bit deeper in this article. To put it as simple as possible, steel detailing would be the finishing touch to the work done by architects and/or engineers. As the name of the process suggests, steel detailing is about the most minute details of the construction process and demands extreme accuracy and precision. The detailing work is divided into two different categories, the shop drawings, and erection drawings. Shop drawings are drawings relevant to the steel fabrication process. They outlay the requirements and measurements for each part of the process in great details. Those details usually include the make, special alloys to be used in certain cases, the size and lengths of bolts, preparation requirements and all the other pieces of information that are necessary for the completion of a whole part. To get a better idea, we could compare shop drawings to architectural drawings which most of the people have seen at one point or another. 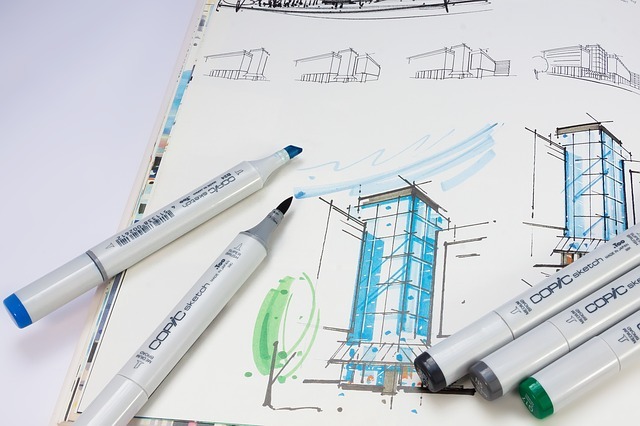 Drawings done by an architect would usually contain the bigger picture, so to say, the whole building with its dimensions as well as the dimensions of some of its larger parts like beams, walls or the envelope. Shop drawings, on the other hand, have a much narrower focus. A shop drawing will indicate the dimensions of the beam itself, the distance from its lower and upper section, the thickness, the type of steel, what kind of preparations it needs for painting and what type of fire protection. Steel detailing is also the kind of work that is usually outsourced to detailing subcontractors or freelancers so it is important to keep in mind that if there are more than one subcontractors employed, they are unlikely to integrate the detailed plan for the part they got assigned in the whole picture or with parts done by other detailers unless specifically asked. This insistence on precision and focus on the smallest of details is what makes avoiding mistakes crucial at this stage as they can cause serious delays as well as some major budget issues. In order to avoid this, detailers almost never work completely on their own. Their work is usually checked by another detailer who has not done anything project-related to that point in order to ensure maximum impartiality and objectiveness. Only after the second detailer has had the opportunity to take a closer look can the drawing be sent further on to another inspection, performed this time by the main engineer of the project. Erection drawings pose similar requirements before the detailers as the shop drawings, but they do not give that much information about specific parts themselves. They provide the on-site workers and constructors with a plan how to assemble the prefabricated parts on the building site. They outlay how and where to perform the erection process, i.e. where to use bolts, where to perform welding operations and at what angle to merge certain pieces. The question that may arise at this point is why steel detailers rather overlooked and not as “popular” as architects, engineers, and designers. The first reason why this might be the case is that steel detailers do not carry any direct responsibility for structural quality and integrity of the building that they work on. 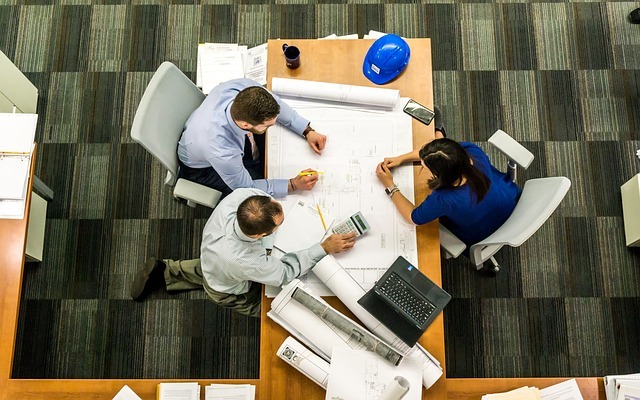 Engineers and architects are the ones who are supposed to anticipate any potential problems posed by the building’s location or to come up with a solution that will live up to the expectations of the client. Steel detailers mainly give the fine print interpretation of those solutions to fabricators and to field workers. Should the project fail for some reason or simply get delayed, detailers are probably among the last people to be called out for it. Mistakes in detailing rarely slip through anyway as lots of drawing revisions happen before the plan is implemented. Another reason why steel detailing is not such a well-known job is that it is a very trade-like profession. It is not necessary to have a university degree in order to be able to perform the job of a detailer on the American continent. On the local level, many states, provinces or counties do not require even for a person to hold a certificate allowing them to perform the job. British Columbia is the only place in Canada where people can find year-long university courses that teach construction detailing. A great majority of detailers have learned their job as apprentices to an older detailer. The learning period is around five years after which the person can start doing the job on their own. However, there are no strict regulations for this so the period might slightly vary in length. Detailers are still required to live up to the safety standards of the country or state that they work in and to make sure that their drawings comply with the existing building codes. Although the job does not require a university degree and can be learned through an apprenticeship, it is by no means easy and it does require certain skills like spatial visualization, logic, mathematics, geometry and a great deal of digital competence as all of the contemporary detailing work is done in a detailing software. To conclude, next time when you take a look at a beam, a bolt, or a small piece of wood nailed somewhere along the wall, keep in mind the old saying that the devil is in the details; for some people the devil hides in the fact that even the size of that bolt had to be represented to the point, while for others it simply means that such great care to even the smallest of pieces ensures that the building will last.